BRIGHTON, Mich - Battery-operated vehicles...where else can we go from there? Well, Ford Motor Company has an idea. It should come as no surprise when we tell you that Ford is onto the next "big thing" in technology that will make driving more efficient, intelligent and safer for customers. Currently in the works is Ford's Green Zone; an underlying mapping system that promises to improve energy efficiency of battery-based vehicles. Now, you're probably wondering how can the "Green Zone" make Ford electric cars more efficient? Well this system, which happens to be a subsidiary of Nokia technology, will give drivers the ability to use their navigation screen, or a website, to set up "green zones" where their vehicle will automatically run on battery power. This will reduce the need for a manual transition from gas to battery as well as determine the most efficient time to use battery or gas power depending on traffic and road conditions. Electric car drivers use their vehicles differently. Some find the battery is most efficient when operated at slower speeds as opposed to highway speeds. Others may choose to wait to use their battery power for specific roadways towards the end of a commute rather than from the moment they pull out of the driveway. 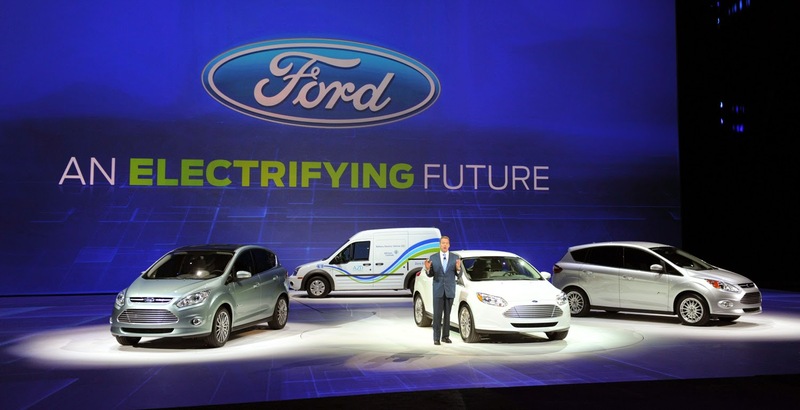 With all of these factors in mind, Ford was in search of a more efficient solution. This is where Ford's Green Zone comes in, providing technology that is so precise, it will help motorists utilize their vehicle's battery-life to the best of its abilities. Although the "Green Zone" for Ford electric cars is still a few years away from production, Ford is determined to have several of its products feature the up and coming technology. If you are in the market for a "green" vehicle, check out the 2014 Ford Fusion Hybrid today at Brighton Ford! We are located at 8240 Grand River Ave. just north of I-96 in Brighton. We are a family owned and operated business that strives for customer satisfaction. For more information on Brighton Ford visit BrightonFord.com or give us a call at (800) 836-7417. I have been see different EV models. I like this one of the most and its really very awesome in drive and its specifications are more advance than other. Nice work done on the blog, its all about the cars. However, if you want to check the Vin of your car so have a look on vin bmw decoder. I have been see different EV models. I like this one of the most and its really very awesome in drive and its specifications are more advance than other.Ford present many models from the years and i love its all but this one is special. Nice work done on the blog, its all about the cars. However, if you want to check the Vin of your car so have a look on vin bmw decoder.